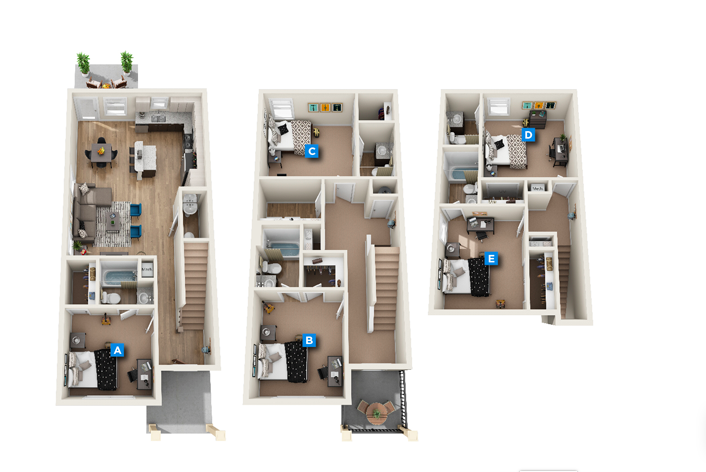 I am looking for someone to take over my lease of one bedroom one bathroom from August 21, 2019- July 31, 2020, at the Tradition. 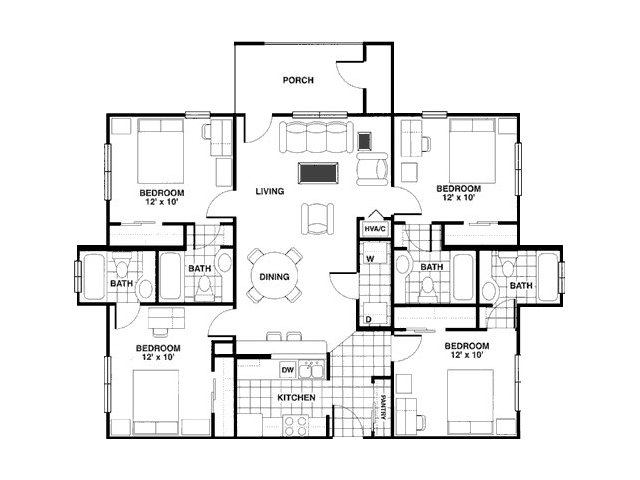 It is a deluxe 2 bedroom 2 bathroom floor plan with a bedroom and bathroom per person. 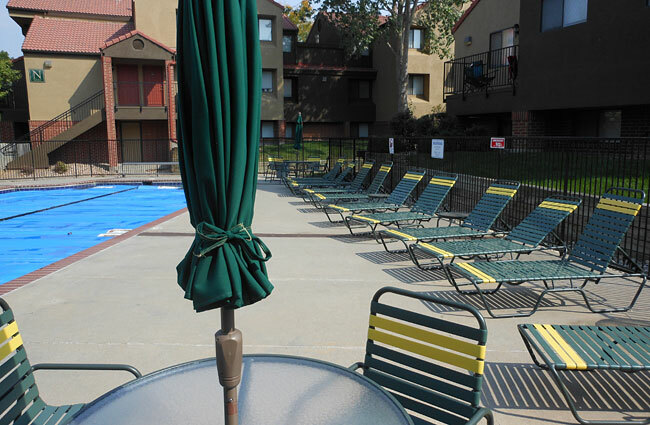 Great amenities, study lounges, fully furnished, and walking distance to campus. No roommate at present. You can bring your own or have the apartment find one for you. Let me know if you're interested! 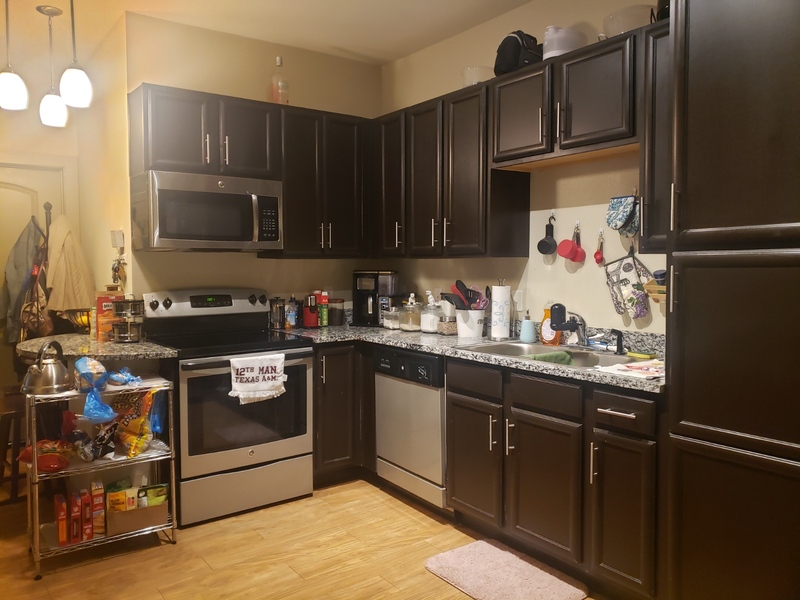 1 bed, 1 bath available in 2 bedroom 2 1/2 bath apartment across the street from Kyle Field. Available for the summer. Price is negotiable. 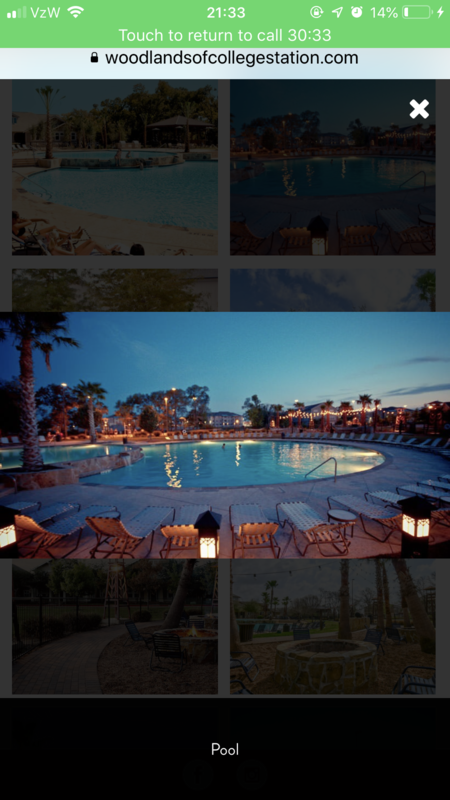 Includes a resort-style pool and a great gym walking distance from the apartment. Great amenities included with the rent. Bus stop outside complex that takes you to Blinn or A&M. Street Address: 305 Marion Pugh Dr. I need to sublease my room in the standard. Its apt 717 room c. The floorplan is the dawson. You would inherit my rate at $609/m instead of $734 which is the current rate. 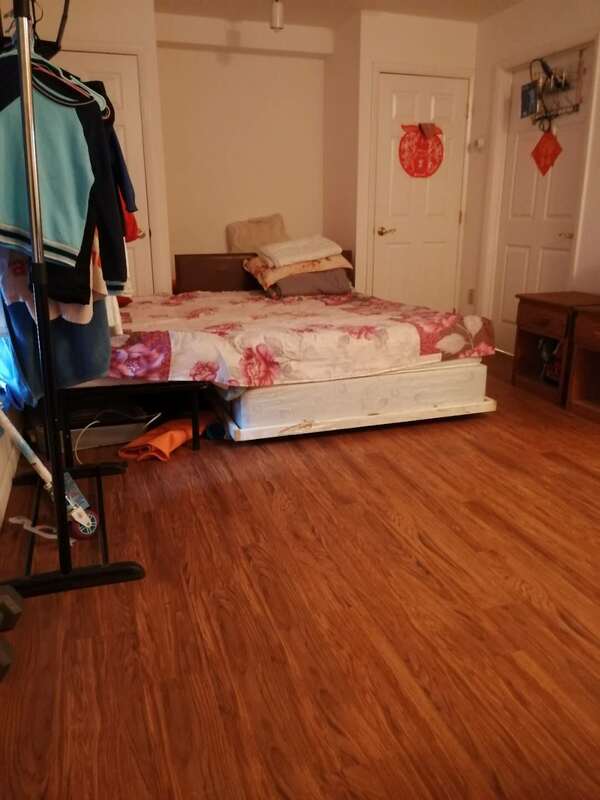 1 upstairs bedroom and bath in a furnished apartment townhome (2 floors). Rent is $600, but listing at $500 for Summer months of June and July. I am looking for someone to take the lease for a one bedroom of a 3 BR apartment at Berkeley House Apartments. Rent is $669 a month plus utilities. The lease lasts from 8/17/2019 - 7/25/2020. I will be paying 85% of the first month's rent. I did not have roommates at the time of signing. 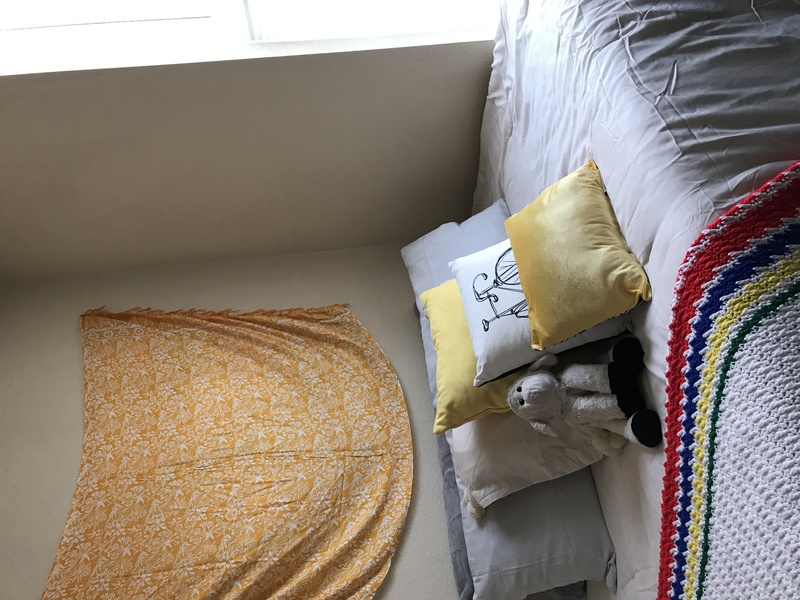 Lease per bedroom ( bedroom A is $730 and bedroom B is $720)looking for subleaser for 8/3/19-8/2/20) AMENITIES !!! -fully furnished - all Bill's paid except electric but has a huge discount -dishwasher,microwave, washer/dryer included. 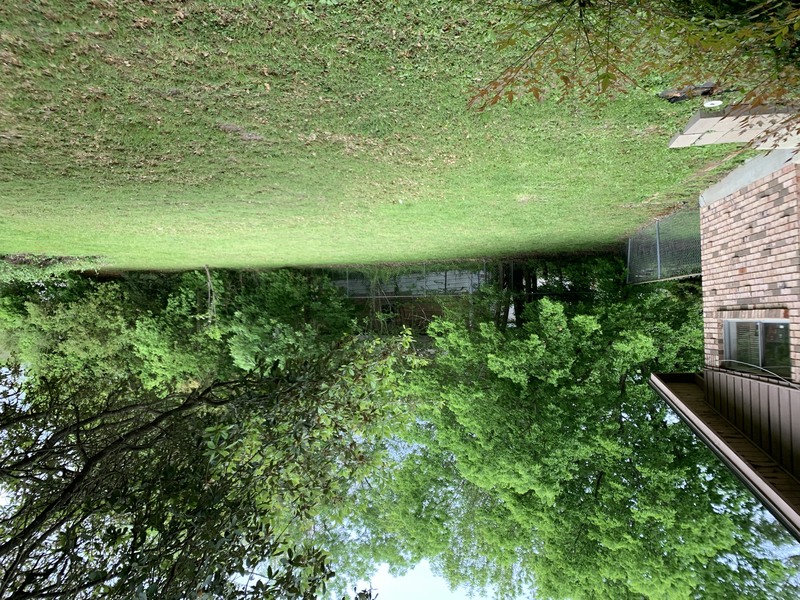 -granite countertops -down the block from A&M Campus ! -Internet and Cable included ! 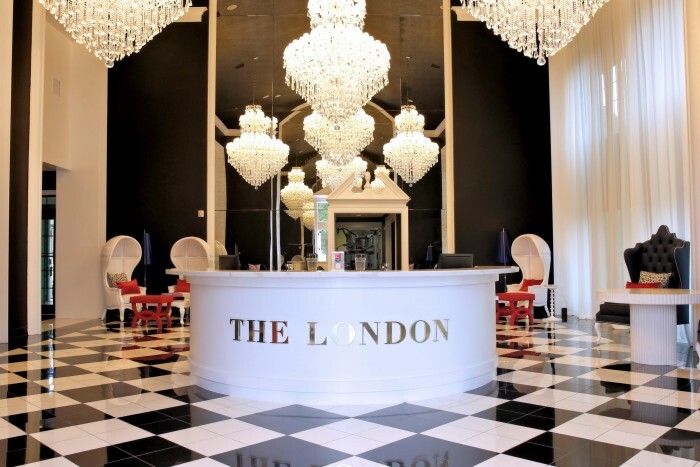 To view a virtual tour of the apartment follow the link below! https://my.matterport.com/show/?m=b4tJHGgZhYx Email or message for more pictures and questions! I am moving out of my 1 bedroom apartment in April as I am leaving College Station. The apartment is at Campus Crossing in College Station. It comes with an In-Unit Washer & Dryer, Large Walk-In Closets, High Speed Internet & Cable TV is Included, and Water & Gas is Included. Hello! 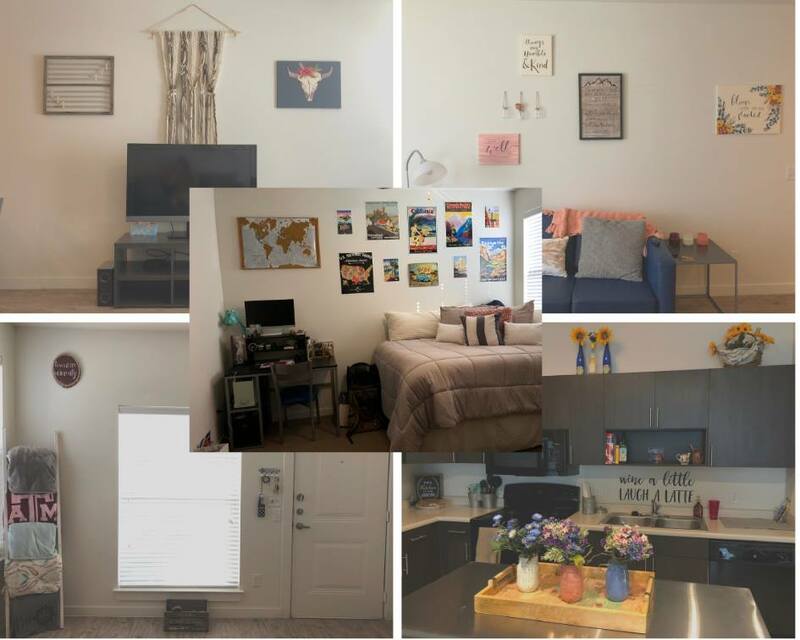 My roommate and I are moving out of our 4 bedroom townhouse in May as we are leaving College Station so we are looking for 2 girls to sublease our rooms over the summer! The other 2 girls are very sweet and will be working/taking classes over the summer. 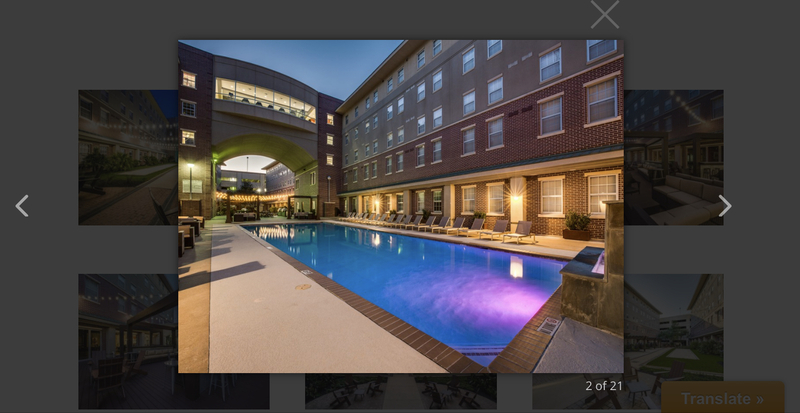 These 2 rooms are on the same floor and the townhouse is at The Retreat in College Station. They come furnished and with their own bathroom. 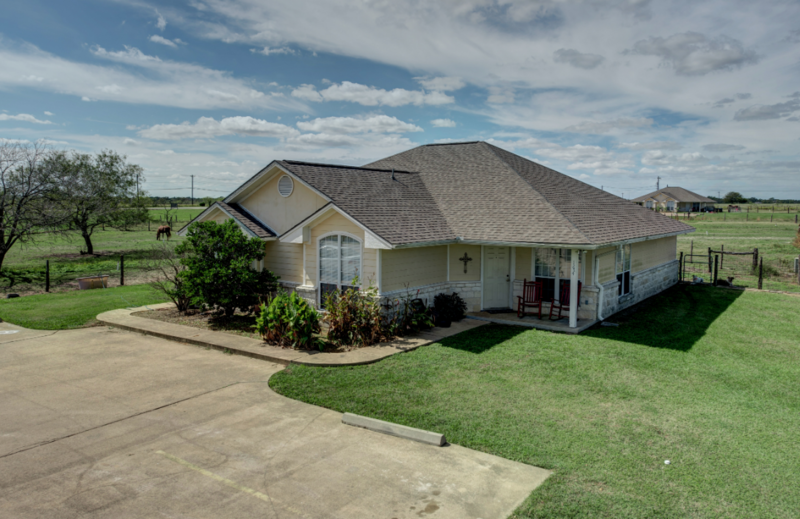 You will have access to the pool, gym, and other amenities the Retreat has to offer. 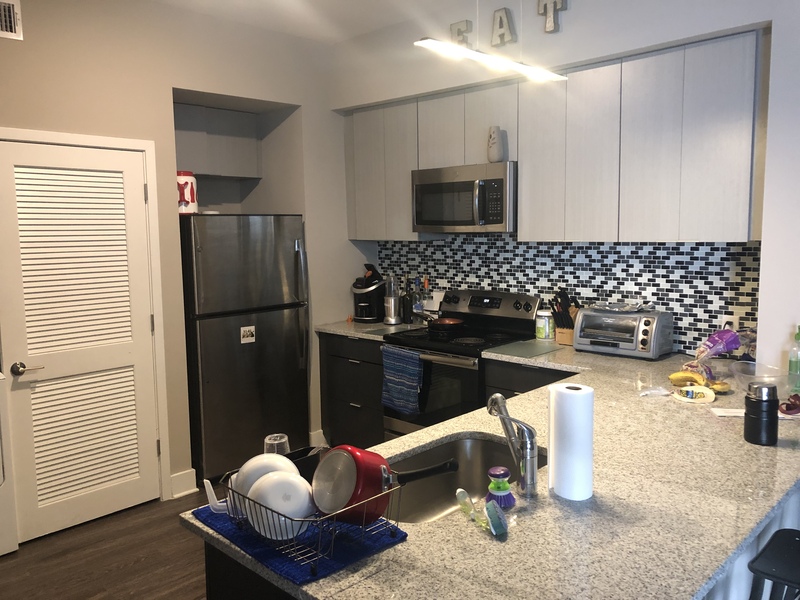 This apartment is available for the month of June and July 2019. The rent includes the two rooms for only $575 a month. I will be graduating this May and I am looking to sublease my apartment. Feel free to contact me 903-851-6387 to make an appointment and check out the apartment. Listing is for 4th floor private bedroom with attached private bathroom. Private balcony attached to bedroom that opens to quiet street. No upstairs neighbors. 3 girl roomies. Furniture included: bedframe, full size mattress, desk, 4 large dresser drawers. Bathroom: shower/bath combo with large tub, cabinets, mirrors. Floorplan: 2 bedrooms upstairs w/ private living room area; downstairs has 2 bedrooms, kitchen, main living room with large TV. Cute decoration, large 2-story window. 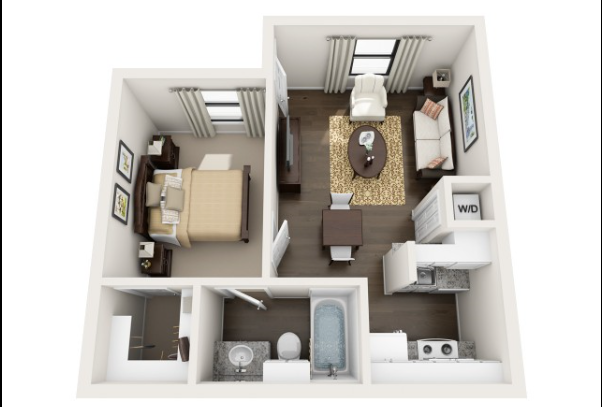 Looking for a girl to sublease ONE room from a 2x2 apartment at Park West this summer (May-August)!! May will be paid for!! Rent is $549/mo (Usually $649/mo, Iâ€™m willing to cover $100 each month) including all utilities, amenities (rooftop pool/lounge, rooftop gym, cafe, study rooms) and parking. 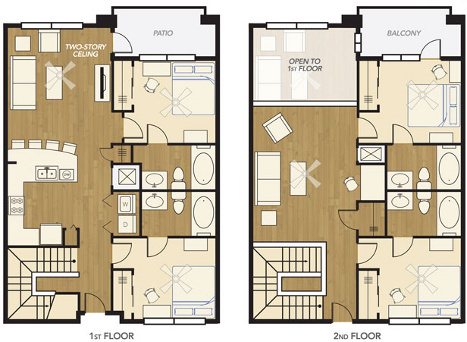 This apartment is 950sq ft and you would have your own private bedroom/bath, FULLY FURNISHED with a walk-in closet! Located on ground level, right by parking! I will be completely moved out! Just steps away from campus and the Zachry Engineering building, the Rise is great if you're going to school at Texas A&M during the summer. Sublease is for May 15th through the end of July. Rent is around 600 a month, but negotiable. It's a furnished apartment , has free covered parking with a reserved spot, gym, and free coffee machine in the building. Howdy! 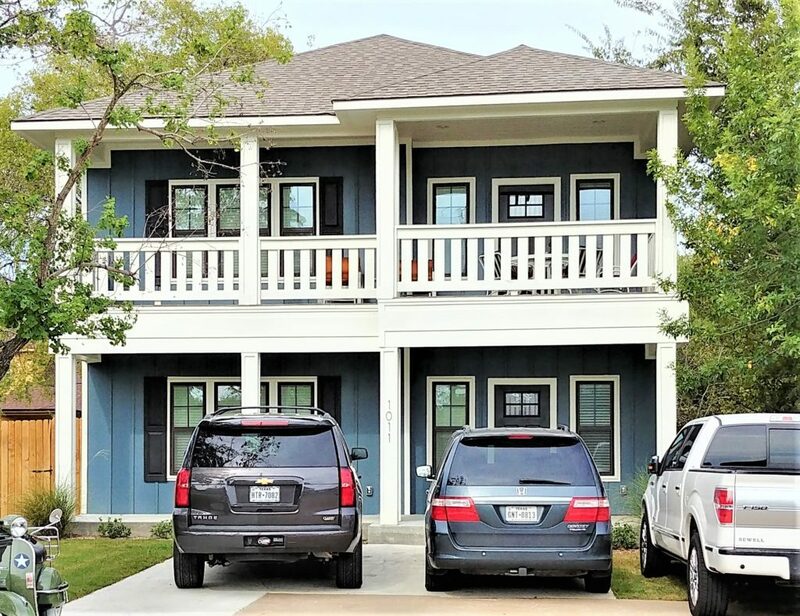 I am looking to sublease my portion of the apartment at The Cottages of College Station for the months of May 1st - July 31st. It is an awesome apartment that is built with extreme quality. I am going back home for the summer and would like to have someone in before the month of May begins since I'll be gone by then. Original price right now for this place is $730 + Electricity, everything else is included. I am willing to sublease for the price of $575 per month. Hello my name is Trevor Sandson and I am subleasing a room in a 2x2 unit at Z Islander. The place is fully furnished, though you can move things into there storage and put in your own furniture if need be. The move in date is around the 16th of August but that can be negotiated if needed. The unit comes with a refrigerator washer and dryer and a outside deck. On the facilities there is a pool and work out area. The other room is not currently filled. Just steps away from campus and the Zachry Engineering building, the Rise is great if you're going to school at Texas A&M during the summer. Sublease is for the end of the month of May, as well as for July and August. Rent is around 550 a month, but negotiable. Half of the agreed upon rent value will be paid for the month of May.  Subleasing large bedroom in 4 bed 2 bath home in South College Station. Quiet street 1 min walk to bus stop with covered parking. Large backyard with fire pit and fireplace inside. 2 living rooms, full kitchen (gas stove, refrigerator, and microwave included), with in house washer and dryer. Backyard has a screened in back porch with grill. Lawn care is included in the rent. Rent is $430 + utilities and internet Available May 1st! 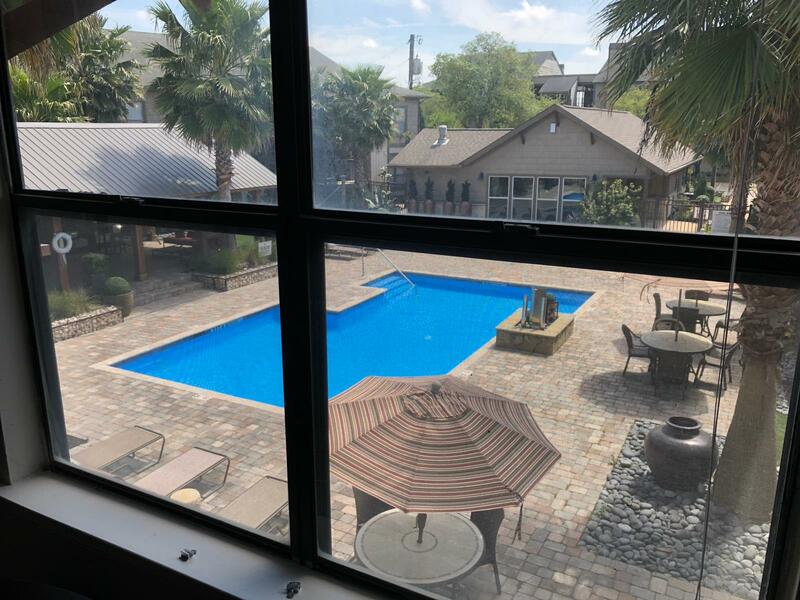 Apartment Name: 1502 Caudill St.
3/3 townhome, you get biggest room and two closests! All updated furnishings. Starts June 3rd. I signed with 500$ visa gift card that you’ll get after your first month!! Subletting my sunny room in a 2-unit apartment between 1. May and 31. July 2019. Fully furnished and very spacious. 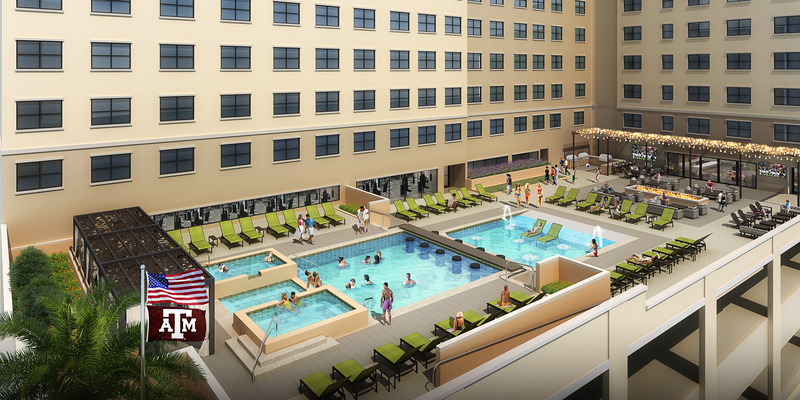 Pool, Gym and dog park right on sight. Balcony, Kitchen, Dryer, Washing Machine, Dishwasher, Microwave, etc. everything you can think of is available. It feels more like a holiday place with a gorgeous pool view and a big balcony facing the pool. 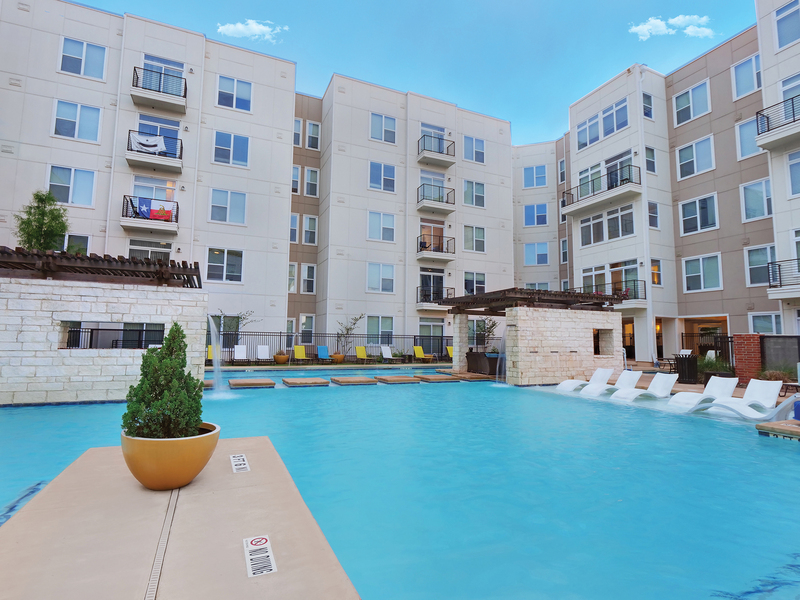 You can sit outside, swim, and enjoy Texas Summer! Campus in walking distance. Bus 36 Stop. 1 female roommate (25 years), will be gone. 4 by 4 with a washer and dryer inside the apartment. Rent is $379 plus utilities but I am willing to cap it at $390 and pay the extra utility charge. It comes fully furnished and is on the first floor. Subleasing May-August. Subleasing our house from May-July (2019). Can come fully furnished or we can move everything out (or anything in-between). Pet friendly. Right by the second bus stop on route 26 and HEB. Contact for additional info, more pictures, or any other questions. 400 a month plus half of utilities (I'll pay the rest of the cost) !! Utilities usually range around $50!! This apartment is usually at $500 so its a major discount!! Apartment is fully furnished!! 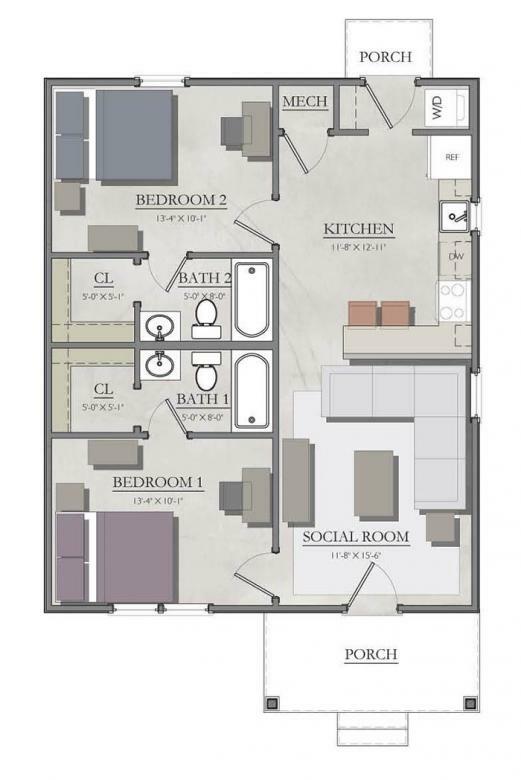 It is a 4x4 apartment, so you get your own room and restroom. Cost is negotiable. 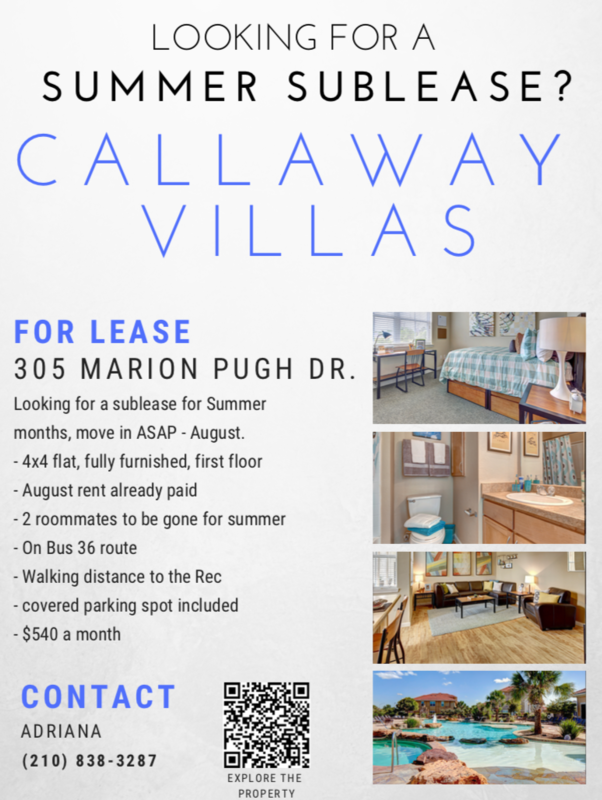 Callaway Villas Sublet Needed ASAP! Howdy! I need someone to cover my summer sublease starting ASAP- August 18th. It's a great location on the bus 36 route and about a 10-minute walk from campus and the rec at most. 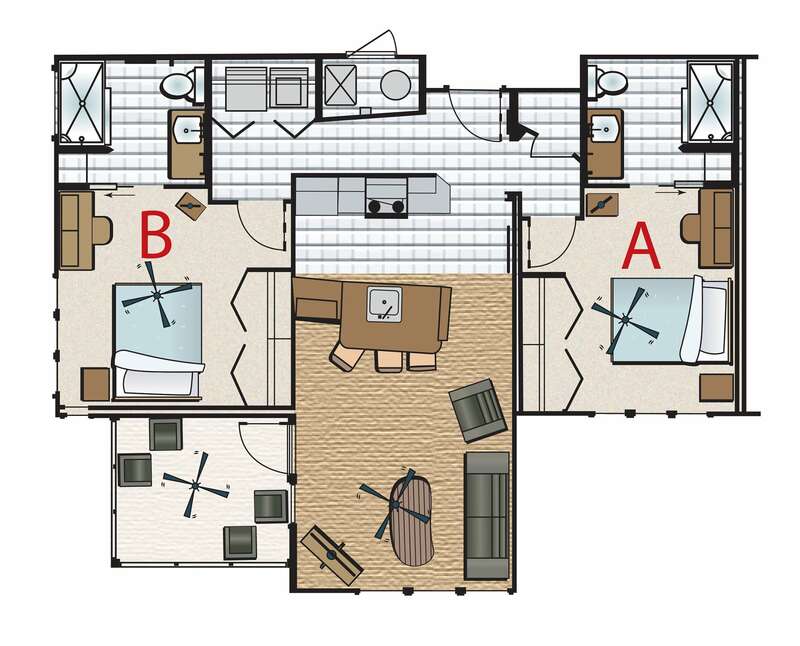 My floorplan is a 4x4 flat so you'll have your own private bedroom and restroom. Two of three roommates will be gone for the summer and one will be back and forth so you'd most likely be by yourself the majority for summer. The complex does allow animals if you have a pet as well. Contact me to set up a private tour. 3 month lease over the summer. Perfect for summer courses! Females only! Private Shuttle to Blinn and College Station! Two roommates won’t be here and one will be in and out. One roommate has a cat but is in its room the majority of the day.